The wet Snail® System, with low angle entrance ramps and circular deceleration chamber, results in virtually no airborne lead at the trap. Unlike other steel traps on the market, Snail® Traps have low angle entrance ramps which deflect the bullet into our circular deceleration chamber. In the wet Snail® Trap, a mixture of biodegradable lubricant and water encapsulates any lead particles that may be generated before they become airborne and inhaled by the range users. This results in a safer and cleaner environment for the shooter. The Snail® System can be safely fired into at 'point blank' range without creating a ricochet hazard. Cross range firing can also be safely undertaken. No more messy plastic buckets and exposure to lead dust. Savage Range Systems has also developed a proven collection system for mining the trap with our Automatic Bullet Recovery System. Spent rounds are deposited in a convenient container for easy recycling, without impacting range availability. If a Savage Range System wet trap isn't your choice for an indoor application, the Savage Range System dry trap with the Savage Air Barrier System offers the next safest contaminant containment system available today! The patented Big Mouth Snail, patent number 8,459,651, is the latest in the evolution of the Snail Trap. Maintaining the patented circular Deceleration Chamber, the Big Mouth Snail does not present any vertical faes or edges to the shooters. This eliminates the need for hardened edge protectors while alleviating any concerns that the shooters may have regarding cross range tactical training. From the shooter's perspective, the throat is completely open across the full width of the bullet trap. Adherence to the KISS principle, thoughtful engineering and precision fabrication makes this possible without changing the overall design of the heart of the Snail Trap - the circular deceleration chamber! Nor does the Big Mouth Snail require any complicated exoskeleton to maintain integrity of the trap. The Big Mouth Snail is available on all versions - Wet, Dry and Air Barrier - on all models - 200, 800, 810 and 855. Savage Range Systems introduces the ultimate in contaminant collection for indoor dry traps - the Savage Air Barrier System. Using "positive pressure", the patented contaminant collection system creates a barrier at the throat of the deceleration chamber, keeping lead particles where they belong, inside the deceleration chamber! So, if a Savage Range System Wet Trap isn't your choice for an indoor application, the Savage Range System Dry Trap with the Savage Air Barrier offers the next safest contaminant containment system available today! Because the Savage Air Barrier System doesn't draw air from the chamber it will not collect dust, bullet fragments or jacket materials destined for the bullet collection system. The patented technology contains a unique safety feature, the Pulsatron Self-Abatement System, to capture minute particles that attempt to exit the chamber. 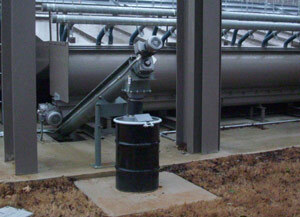 A bank of filters are cleaned by pulses of air and the lead particles fall into a collection drum within the system. The air is then passed through a set of HEPA filters, ensuring no lead particles are discharged into the environment. The Savage Air Barrier System is a "closed loop system." The air flows within a contained system and recycles, so the supply air that creates the positive pressure barrier is the same air that is recovered from the system after it passes through the HEPA filters. 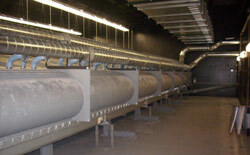 The result is that the Air Barrier System does not interfere with the range ventilation system. The Savage Air Barrier System uses less energy than the competition. Why? 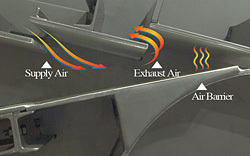 Because the system is not vacuuming the inside of the deceleration chamber, the air barrier requires less air volume for circulation, resulting in a smaller fan motor. Plus, as a "closed loop" system, it does not exhaust tempered air to the outside environment, resulting in energy savings to your HVAC system, since more energy is available for recovery by your heat exchange system. The Pulsatron Self-Abatement System filters and recirculates air requiring less air volume for circulation, resulting in a smaller fan motor... and greater energy savings! The Air Barrier System creates a barrier at the throat of the Deceleration Chamber, keeping lead particles where they belong... inside the chamber! The heart of the Savage Range System bullet containment system is the deceleration chamber. The bullet is deflected off of the 12° entrance ramp and revolves around the deceleration chamber, forfeiting its kinetic energy in a circular motion. The biodegradable fluid on the low angle ramp reduces friction and captures any lead dust to keep it from becoming airborne. The bottom of the deceleration chamber has a small opening extending the width of the chamber. This allows the spent bullets to drop out of the bottom of the chamber and into the Collection System. The deceleration chamber of the Model 800/W is fabricated from 3/8" AR500 steel plate. An isometric view of the Model 800 allows you to see all components, three dimensionally, in our revolutionary system. You can visualize the path of the bullet deflecting off of the low angle deflection ramps into the deceleration chamber resulting in the safest, cleanest trap system in the world. The Savage Range System bullet containment system will capture bullets fired from all conventional shotguns, handguns, pistols and rifles up to and including a .460 Weatherby rifle caliber (8100FPE), The system is designed for soft point, hollow point, full metal jacket, wadcutters, slugs, buckshot and birdshot without any damage to the backstop system. Steel core, ceramic tip and AP/API ammunition should not be used. The shooting height is an optimal 53" from the floor and the depth of the Snail® Trap is a compact 24". The minimal distance from the rear of the Snail® Trap to the target line is 16'. 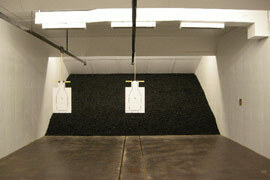 Savage Range Systems offers a variety of traps to suit each client's needs. While the Savage Wet Snail® System provides the cleanest, safest and lowest maintenance trap possible, budgetary or space constraints may require an alternative; the Savage Range Systems Rubber Trap! Clean: Rubber media does not smash bullets. Lead dust is not generated at the trap. Ideal when there isn't sufficient room for a Wet Snail® Trap. Shallow footprint: The Savage Rubber Trap only requires 11' of floor space, making it an ideal replacement for old escalator traps where a 75' target distance is required. Will accommodate all ammunition, including armor piercing, rated up to .50 cal BMG*. The Savage Rubber Trap is fabricated to the same quality standards as our Snail® Traps... built to last! 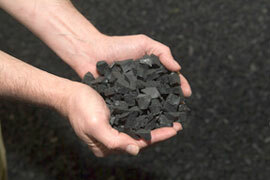 We only use 100% metal and fiber free rubber. Media is treated with fire retardant during installation. * For .50 cal BMG, no automatic fire. The Wet Snail® System, with low angle ramps and round deceleration chamber, results in virtually no airborne lead at the trap. 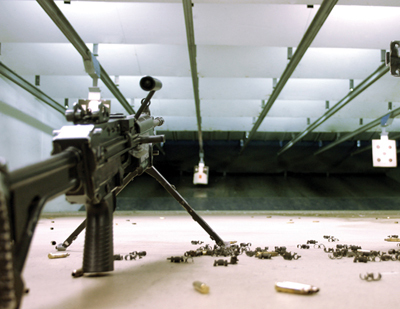 Unlike other steel traps on the market, Snail® Traps have always used low angle ramps (12° for rifle and 15° for pistol) that guide the bullet into the round deceleration chamber, where the bullet loses energy and safely drops into a collection area, ready for recycling. A .30-06 bullet will make approximately 130 revolutions in 2-3 seconds. In the Wet Snail® Trap, a mixture of biodegradable lubricant and water encapsulates any lead particles that may be generated before they become airborne and inhaled by the range users. This results in a safer and cleaner environment for the shooter. Snail® System Deceleration Chamber In 1991, Ron Coburn invented the Snail® System - a bullet trap that decelerates a bullet rather than disintegrating it on impact. 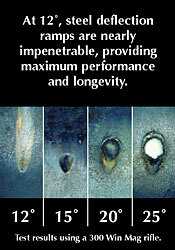 The heart of the Snail® Trap is the deceleration chamber. Low angle entrance ramps guide the bullet into a circular chamber where it revolves, losing energy, until it drops down for collection. 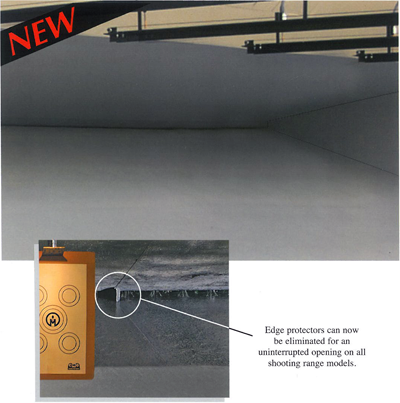 This simple, yet ingenious, solution virtually eliminates lead dust for a safer range environment and has revolutionized the entire shooting range industry. For easy collection, Savage Range Systems pioneered the Automatic Bullet Recovery System (ABRS) with the Snail® System Bullet Trap. As bullets decelerate, losing energy, they finally fall to the bottom of the chamber and exit through a bottom slot. They are then carried along a conveyor to a collection drum, behind the trap, to be either disposed of, or recycled. Just one more reason why a Savage Range System is considered the safest and most efficient shooting range available.